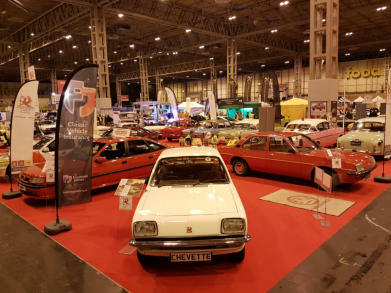 NEC 2017 Report NEC 2016 Report NEC 2015 Report NEC 2013 Report NEC 2012 Report NEC 2011 Report NEC 2010 Report NEC 2009 Report Lancaster Classic Motor Show 2016 - NEC Birmingham General view of the Club stand and Dave Cheal’s Cavalier Mk1 Coupe on the entrance to Hall 3.
the Hotel, and in Keith's case headed home. the cars on the stand as well as photographs. At 11am on Friday we (and the whole of the NEC crowd) observed the two minutes’ silence for Armistice Day. meal at the Harvester at Coleshill as Friday was Brandon's birthday and we had a table booked. (Buses 22 and 23 don't leave from Coleshill, Peter!!). way back to our accommodation. 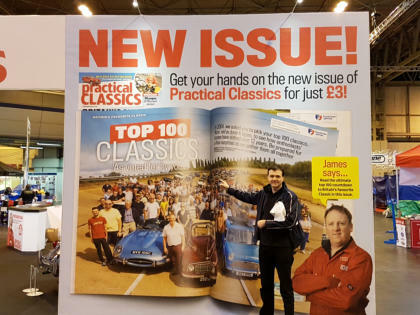 Not where’s Wally but Where’s LOU plus Kevin Bricknall’s Cavalier Calibre make an appearance on the Classic Car Weekly stand. Club via the Paypal system on the website. At 11am on Sunday we again observed the two minutes silence, along with everyone else in the NEC. 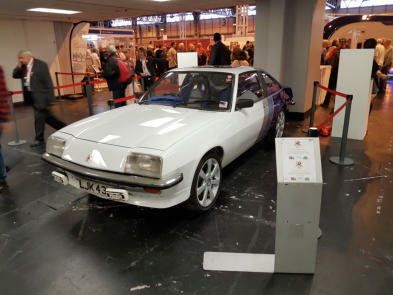 Collins from the ITV Series The Professionals also with Jimmy McRae and his Opel Manta 400. 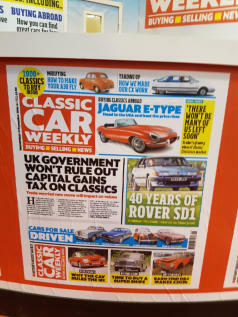 I wonder if he was assessing a Manta as a replacement for the Capri? 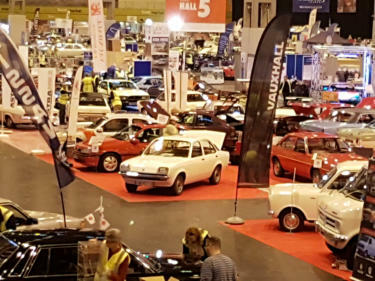 but thoroughly enjoyable Lancaster Classic Motor Show 2016. We hope to be back again in 2017! and dedication, we would not be able to put a stand together at this event. Thanks again to all of you. Denis Chick, Andy Body, Terry Forder and Simon Hucknall from Vauxhall Motor/Vauxhall Heritage. Apologies if I have missed anyone out. 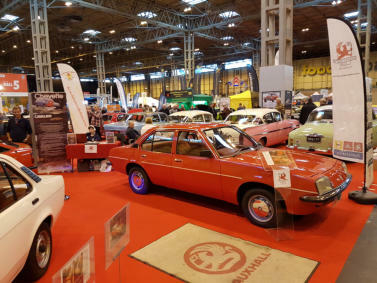 Kevin Bricknall (602) Stand Organiser www.necclassicmotorshow.com Long distance view of the stand and Keith Gooch’s Cavalier Mk1 1600 L complete with no clock or radio! 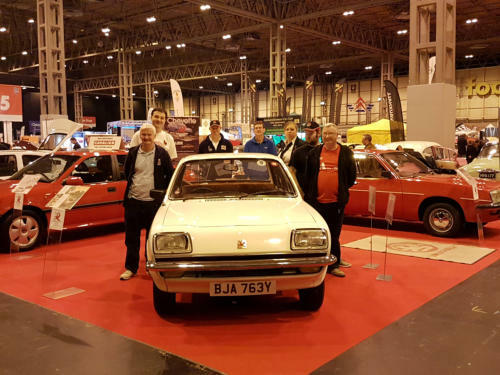 Club Member’s on the stand with Peter Norrish’s Chevette 1300 Saloon.